Long Beach, Calif. is home to both one of the state’s largest LGBTQ populations and The Center, a resource for the queer community and their allies. The Center’s goal is to provide LGBTQ specific services, such as mental health and health care, free HIV/STI screenings, legal and domestic violence support, youth, elderly, and parent support groups and cultural programs. They serve over 25,000 individuals from Long Beach and it’s surrounding cities yearly. Despite having a large and rich LGBTQ community, LGBTQ youth in Long Beach are in double jeopardy on account of their identity and the prominence of poverty in the city. “We have more kids who are homeless because their families are poor, than are kicked out because they’re LGBTQ,” executive director of The Center Porter Gilberg said. Nearly 1 in every 5 Long Beach residents live in poverty. These rates are astronomically high in comparison to other communities in the South Bay. According to data collected between 2011 and 2014 by the Public Policy Institute of California, the number of children aged zero to five living in poverty range from 5 to 45 percent in Long Beach, with 10 percent living in deep poverty in the Central Long Beach area. “Our youth experience poverty just like everyone else. So, that leads to issues with housing insecurity, food insecurity, risk of dropping out of school… these youth have the same risk factors as their straight, cis-gendered peers, just with the added layer of stigma and potential trauma from experiencing discrimination for being LGBTQ,” Gilberg said. LGBTQ youth have a 120 percent higher risk of reporting homelessness compared to youth who identified as straight and cisgender, according to a 2017 study about youth homelessness conducted by the Chapin Hall at the University of Chicago. Additionally, studies released in 2012 by the True Colors Fund have shown that nearly 40 percent of homeless youth identify as LGBTQ. The Center itself does not provide housing for homeless LGBTQ youth, however they do offer extensive individualized safety planning. “We want to make sure that youth participating in our programs are safe, so that they have enough food to eat, so that they have housing, so that they have the opportunity to complete their education, and so that they have access to as much care as possible,” Gilberg said. The Center was originally founded in 1977. Then, they did not have their current building located on 4th Street and Cherry Avenue, but had meetings held in living rooms by local LGBTQ members who wanted a place to discuss issues important to the community. As time passed and the need for an official space grew, the nonprofit moved to its first location: a small storefront office. A few years later, they moved to an even larger space — its current location on 4th and Cherry. “The idea that LGBTQ people need their own space is very important… and [we] aim to provide that space,” Gilberg said. Safe spaces are a necessity for LGBTQ youth and individuals alike. 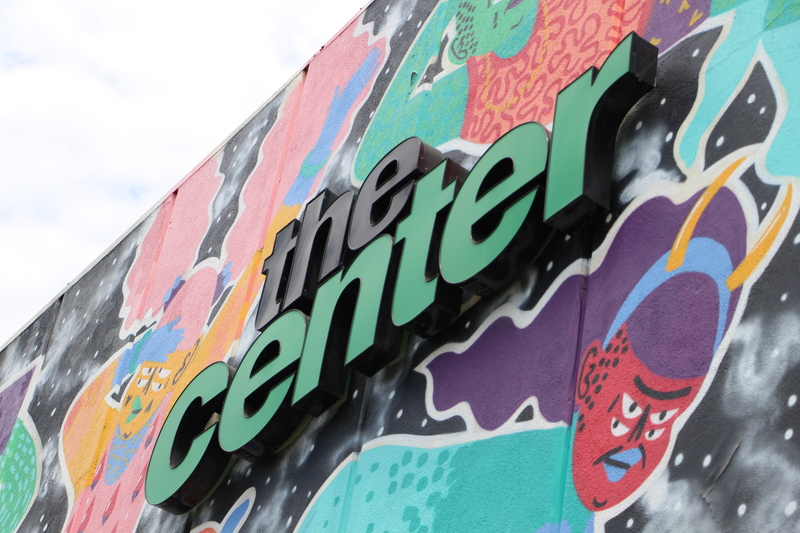 For many young adults in Long Beach, places like The Center provide the only opportunity to be one’s authentic self without fear of discrimination or putting themselves in danger. “Our role in the community is to serve as a connecting hub and service provider for LGBTQ people in need of support, community or connection,” Gilberg said. The Center is truly a representation of how important community and support systems are for members of the LGBTQ community. With their extensive service for LGBTQ individuals and allies of all walks of life, they are able to nurture and empower the community they serve.